The main issue that the IPPL CITES team has been working on at this Conference is the proposal to uplist the Barbary macaque from Appendix II to Appendix I of CITES. The CITES appendix listings are based on which species are at risk from trade and therefore need tighter controls. Appendix I includes species threatened with extinction and affords the greatest level of protection; this means that international trade is prohibited for commercial reasons and, in non-commercial cases (such as scientific research), it is tightly controlled, requiring both an import and an export permit. Trade in Appendix II species is somewhat restricted but they are afforded less protection; they can be legally traded for commercial reasons, provided that the relevant authorities have issued an export permit (no import permit is required) and are satisfied that trade will not be detrimental to the species in the wild. 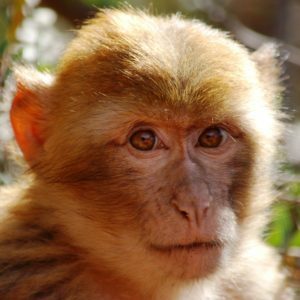 Barbary macaques have been assessed as endangered on the IUCN Red List and trade is a significant threat, in addition to habitat destruction and fragmentation. 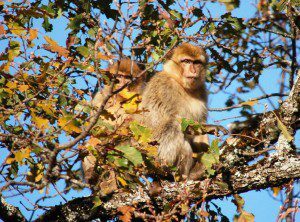 It is mostly illegal trade that threatens Barbary macaques, but greater protection through CITES will assist the countries where these monkeys are native to better tackle illegal trade, including enforcing higher penalties, which will serve as a deterrent. We are delighted to announce that the Barbary macaque has today become the first monkey in over 30 years to be uplisted to Appendix I.  The IPPL CITES team, along with many colleagues from a coalition group called the Species Survival Network, and in particular, Stichting AAP, an animal sanctuary in the Netherlands, has been lobbying hard for this. 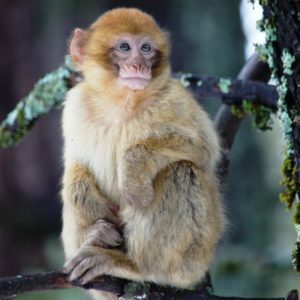 We were confident that this measure to protect the Barbary macaque would go through but what we did not expect was that it would do so by consensus, with not one single country (and there are 183 countries currently signed up to the treaty) raising an objection. A great day for primates!